URBANA — Emeritus Professor Bob Henderson is a smart guy, and he can recognize somebody who isn’t, however powerful that person may be. He uses words like “dumbbell” and “idiot” to describe World War II hero Douglas MacArthur, whose disastrous, ego-driven decision to dispatch U.S. and U.N. forces too far north — and too spread out — turned the Korean War from a victory to a stalemate, costly in American lives. 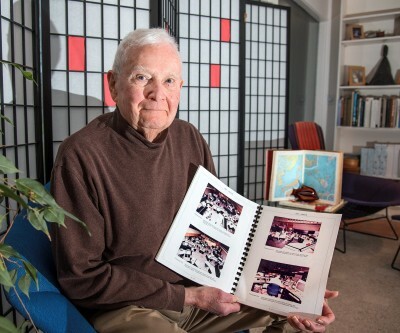 After joining the Marines at 17 in 1944, just too late to serve abroad in World War II, Henderson graduated from his hometown University of California-Berkeley and became a high school teacher, later a principal. 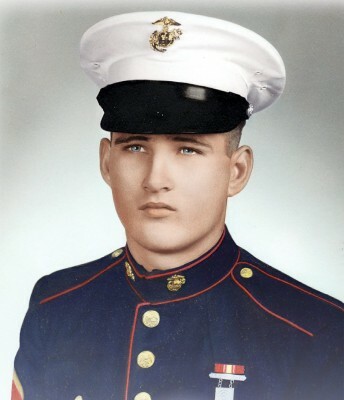 As a college-educated man who’d done service as a Marine reservist, he went to Korea as a second lieutenant, marching through Seoul en route to North Korea near the Chinese border. MacArthur had dismissed threats from the Chinese that they would enter the war if challenged. “I know the Oriental mind,” the supreme commander said. But intelligence officers in fact did know that hundreds of thousands of Chinese troops were at the ready, said Henderson, 93. “The Chinese thought, hot dog, the war was over for them, and told them the truth,” he said. The Chosin Reservoir was where the armies collided. 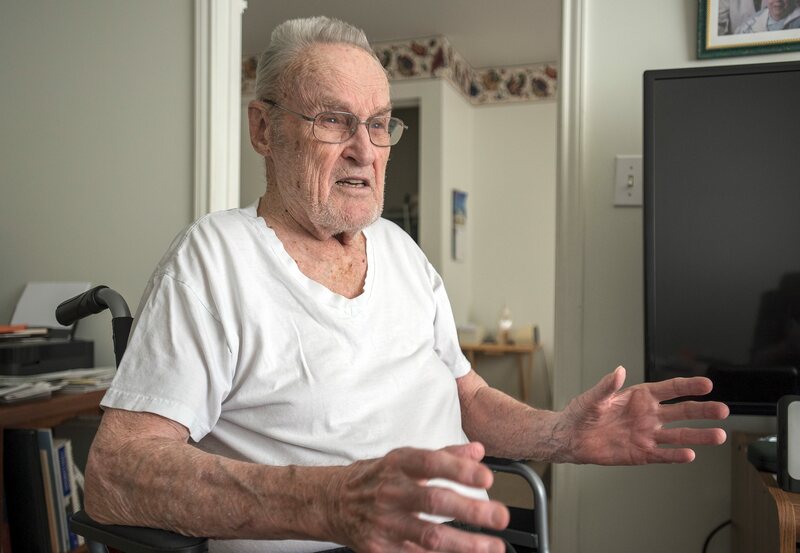 As one of the “Chosin Few,” Henderson recalled the bitter cold — 40 degrees below zero — that made frostbite far more common than combat wounds. Henderson does not have much respect for the North Korean troops he engaged with. Had they been the main enemy, the war would have been over sooner. He made a lot of friends that day. Mao Zedong’s soldiers, on the other hand, were well-trained, after successfully completing a revolutionary war in the 1940s that required huge sacrifice. Five months into the war, the People’s Republic of China sent in hundreds of thousands of troops. “There were five of them for each American soldier,” Henderson said. The Chinese surrounded the American and British divisions, and the future professor took a bullet to his abdomen. “The corpsman said, ‘For God’s sake, you’ve got a bullet in your stomach? Wiggle your toes or they’ll freeze!’ The corpsman was a smart one — he said, ‘wiggle, wiggle, wiggle,’ and look at me — I can do it now!” he told the documentary crew. Indeed, he would find out that the cold, which slowed his bleeding, was chewing up his fellow Marines. “They had a penknife or something,” he joked, and removed the bullet. It had missed all major organs. Unable to walk, though, he made it safely out of the combat zone in an artillery spotter plane. On a hospital ship and in a Naval hospital in Japan, he found out he was one of the rare Marines to take a bullet and live. The other survivors lost toes and fingers to frostbite. After a few weeks, he was back in the war. Eventually, U.N. forces were able to break out of the surprise Chinese attack at the Chosin, and even inflict heavy casualties on the Chinese. But other Marine and Army units took on the Chinese head-on and paid heavily for it. Following a series of defeats, President Harry S. Truman took action. MacArthur was removed from command in 1951. 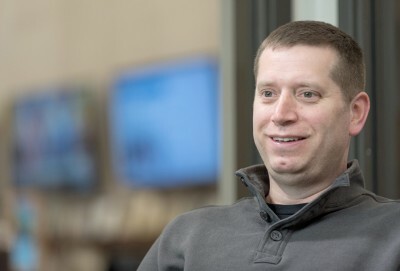 After his active duty, Henderson earned a doctorate in special education from the University of Illinois, and became a leader in the field, eventually becoming department head. Henderson said his Marine training has stayed with him all his life. “You learn to take action, not to pass a problem off to another person,” he said.